The Great Mystic Saint, Uwais Qarni, may God be pleased with him, was once asked, "How do you feel?" He said, "LIKE ONE WHO HAS ARISEN IN THE MORNING AND DOES NOT KNOW WHETHER HE WILL BE DEAD IN THE EVENING." The other man said, "But this is the situation of all men." Uwais, the mad lover said, "YES, BUT HOW MANY OF THEM FEEL IT?" Commentary: Now many things have to be understood. First, when Uwais said, "LIKE ONE WHO HAS ARISEN IN THE MORNING AND DOES NOT KNOW WHETHER HE WILL BE DEAD IN THE EVENING," he is saying many things. It is a very pregnant statement. You will have to go deep into it. First he is saying that a Sufi lives moment by moment; he does not bother about what is going to happen the next moment. He has no plan for the next moment. A Sufi has no future. This moment is all. She or he lives in it, s/he lives totally in it, because there is nowhere else to go. You cannot live totally in the moment if you have a future – a part of your being will be flowing towards the future, naturally. If you have a past you cannot live in the present – part of your mind will be flowing towards the past. You will become fragmented. The major part of your being will remain hanging somewhere in the past and the remaining greater part will have already moved somewhere in future. Nothing will he left for the present. And the present is so small, so atomic, that you can miss it very easily. People are missing it. People have pasts and people have futures, people don’t have any present. The Sufi lives in the present. To live in the present the basic need is to withdraw yourself from the past, to withdraw yourself from the future. Then there comes a concentration of energies, then this small moment becomes luminous, you pour your total energy into it – then there is joy and benediction. If you are miserable it is only because you live in the past and in the future. A miserable man has past and future, a man who lives in bliss has only the moment, this moment. 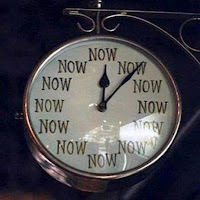 He lives in the now. Hazrat Uwais Qarni was an ashiq (passionate lover) par excellence of Prophet Muhammad, sallalahu alaihi wa sallam. His love for his spiritual Master, Seal of the Prophet, dwarf love of any other human beings under the sky and above the earth. Never in the history of mankind have witnessed another crazy lover other than Uwais whose love for his Master was totally neoplatonic, yet of highest order, being free from physically seeing or being. Uwais Qarni lived during the time of the Prophet and could never make to meet him physically due to serving his blind mother who was of advanced age and it was only Uwais to take care of her. But lets not forget that the Rule of love is quite different. 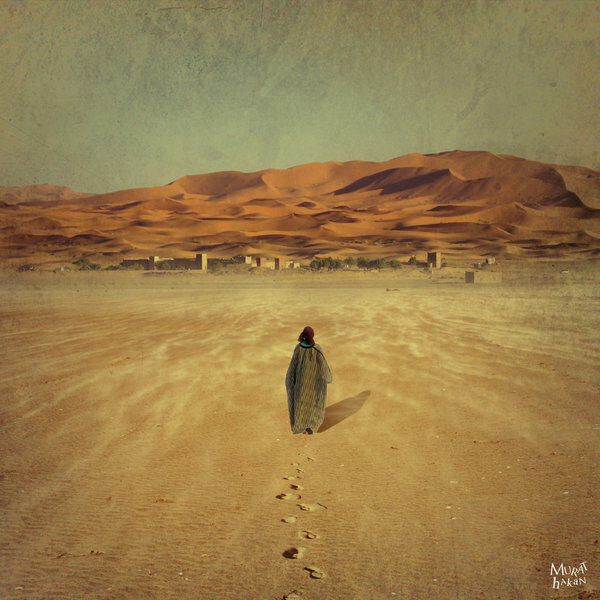 Though Qarni never met the Prophet Muhammad yet both was fully aware of each other's spiritual presence and attraction of love for the sake of God. The Uwaisi form of spiritual transmission in the vocabulary of Islamic mysticism was named after Uwais Qarni, as it refers to the transmission of spiritual knowledge between two individuals without the need for physical interaction between them. Sometimes the Messenger of God would turn in the direction of Yemen and say: "I perceive the fragrance of love from Yemen," referring to the presence of a great lover of his living in that region. 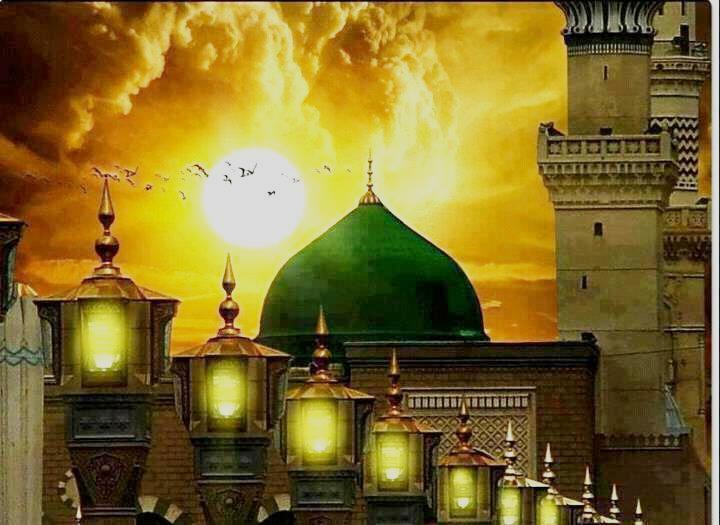 About this man of tremendous spiritual status, Uwais Qarni - a true habib of al-habib-Allah, here are some remarkable sayings of the Master of love, Prophet Muhammad himself. "Tomorrow on the Day of Qiyaamah (Day of Resurrection) God will create 70,000 angels in the image of Uwais Qarni who will enter in their midst into Paradise. No one will recognize him except those whom Allah wishes." Since Uwais Qarni engrossed himself in worship in concealment, fleeing from people, Allah will preserve his concealment even in the Hereafter. On the reality of hiddenness of the saints/ friends of God, Allah has declared: "My Auliyaa (friends) are under My Mantle. None besides Me knows them." When the companions inquired about the identity of this man, the Messenger of God said: "A servant among the servants of Allah." The companions responded: "Please excuse us O Messenger of God, we all are the servants of Allah. What is his name?" 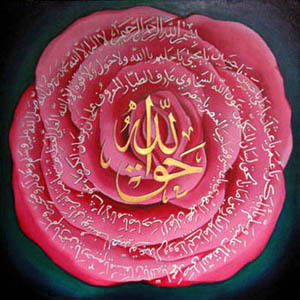 The Beloved unveiled the name saying: "Uwais Qarni." The companions: "Where is he?" The Messenger: "In Qarn (a place in Yemen)." The companions: "Have he seen you, O Messenger of God?" The Messenger: "Not with his physical eyes, but he has seen me with his spiritual eyes." The companions: "Such an ardent lover, but why has he not entered into your companionship?" The Seal of Prophet replied: "There are two reasons. The first is ghalbah haal (i.e. he is always in a high spiritual state which makes him oblivious of everything besides God, the Supreme). The second is his profound observance of my Shariat (Divinely Prescribed Way). His faithful mother is extremely old and blind. He tends to camels and with his earnings he supports his mother." The Companions asked: "Can we see him O Messenger of God?" The Messenger turned to his companion-friend Venerable Abu Bakr: "You will not see him, but Umar and Ali will see him. His entire body is covered with bodily hair. On the palm of his hand and left side is a white spot, the size of a dirham (coin), which is not the mark of leprosy. When you meet him, convey my greetings of peace to him and tell him to make supplication for my Ummah (community). Among the Auliyaa (friends of God) those who are the Atqiyaa (a very loft category of Auliyaa, special among the specials), he is the holiest." The Companions further asked: "Where shall we find him?" The Messenger unveiled more: "In Yemen, he is a camel-herd known as Uwais. You should follow in his footsteps." As the time for the Messenger of God to return to his Lord came near the companions once asked: "To whom shall we give your holy cloak?" The Prophet entrusted it to his favorite lover, by saying: "To Uwais Qarni." This is the beginning of the practice of Islam to entrust the Master's cloak to his chosen spiritual disciple, a tradition preserved in the Islamic Sufi tradition. Uwais was indeed given the cloak of the Prophet after his passing and as he prophesied, his two leading companion, Umar and Ali, may Allah bless them both, indeed went in search of this great soul and found him. You may read in details of this account from the life of Hazrat Uwais Qarni (click here). After Uwais Qarni became known to people, a companion of the Messenger by the name Hiram ibn Hibbaan came to meet Uwais. Hiram was surprised that Uways already knew his name, so he asked how, Hazrat Uways said, "He Whose Knowledge is all-encompassing has informed me. My soul has recognized your soul because the arwaah (souls) of the Mu'mineen (faithful servants of God) recognize each other." "Keep your (thought / contemplation of) death (maut) under your pillow when sleeping. When you wake up, don't cherish hope of life. Never consider sin as being minor. If you consider sin as being minor, know that you are considering Allah Ta'ala as being insignificant." "Be such on the path of God, so that no one exists for you but Him." "He who recognizes God as a Friend makes friendship with no creature." "An aim is required before embarking on an action; therefore, if your aim is to find God and his Prophets, then you will surely reach your aim." "Safety is in solitude. True solitude is that there is no room in the heart for thinking of others. Solitude in which the mind is occupied with the thoughts of others is defective." "Nothing remains hidden from a person who has recognized God, the Most High." I searched for honour and I found it in contentment (i.e. contentment with whatever Allah has ordained). I searched for comfort and found it in zuhd (abstinence – renunciation of the passing world of appearances). I searched for independence and found it in tawakkul (trust in God)." "When two people gather to indulge in futility, Satan departs because he has achieved his objective. There is no longer a need for his presence since these two are sufficient to deceive each other. Both are forgetful of God. Keep your heart alert so that aliens (anything other than God) do not gain entry." "Hidden invocation is better than visiting and meeting," because hypocrisy (riya) might enter in the latter two. "Sleep with the remembrance of death, and rise with the thought that you will not live long." Somebody offered Hazrat Qarni some coins. He refused to accept them saying that he has two dirhams, and that was enough. The eager donor said, "but how long will that trifling sum serve you?" he replied, "Assure me first that I shall of a necessity live longer than this moment (duration of life being so uncertain) and I shall accept your gift." The man became silent. "And choose a friend who is able to free you from all else (other than God)." "What is khushu' (concentration) during Islamic Prayer (Salaat)? ", he was asked. "For you to be so attuned that even if an arrow pierces you, you remain unaware of it." "Consider the Qur’an like Hazrat Khidr (the mysterious Green Man), thy guide in the Path and never forget death. Pray regularly and always." "Keep watch over thy heart"
O God! I call You, and want no other but You. O You Who bring comfort to those who are in holy awe of Your Immensity, and give refuge to those in need. You open hearts, and are in possession of all good. You bring stability to weariness, and purify all wrongs. You write out our good deeds and allow us to ascend. and not to subject our beings with dark objectives. and with all Your kindness which shall not remain hidden. I call You, upon Your most treasured Name, the Name which shall grant my prayer to be heard and answered quicker by You. Amen, O Lord of the worlds."